You might be tempted to have a go at your first online purchase. This may be because you have friends and relatives living abroad. Postage costs a lot and so it makes sense to purchase a gift from a shop close to its final destination. You may feel envious when you listen to others recounting stories of goods purchased for a fraction of their retail price. That group of online shoppers from work who gather round the water cooler, comparing bargains they just found makes you feel left out. Also, the realization that the groovy limited edition purple cell phone with orange backlit display and the Swarovski crystal buttons is only available online meaning that if you would like to own it, you have to take the plunge. On the other hand, fear of being ripped off, of ending up with a dud, of using a credit card on the internet or of making a mistake during the transaction may prevent you from joining the e-commerce community. Stories of people who had their credit card stolen and who subsequently received a bill telling them that they are the proud bill settler for a Ferrari may put you off. Banks are already difficult entities to deal with as things stand today; imagine having to convince them that your spiralling credit rating is no fault of yours. This guide will help you make internet purchasing a pleasant experience and practically eliminate the risks associated with this type of commerce. This guide is almost complete because people will come with new ideas and situations will materialize to make a review of the points mentioned here necessary. 1. The item you are purchasing. Is this an original phone or a legitimate (or illegitimate) copy? Does this item take the same power as your country’s electrical supply or will you need to purchase a transformer to run this item? Is the plug compatible with your electrical wall sockets? Does this mobile phone work with your local providers? Is it legal to import this item into your country? 2. Condition of the item. Is the item’s condition new, like new, practically new, has been used for only a week or heavily used? Is it refurbished or shop soiled? Does it work, or is it being sold for parts? Does it have minor scratches or slight dents and where are these situated? 3. Read the entire page. A good portion of the problems with online purchases happen because the buyer fails to read the text associated with an item. In an effort to get your attraction, a seller may use bombastic (some might refer to them as outright misrepresentations) in the header, coming closer to earth in the actual item description. You should read everything. 4. What type of online market are you purchasing from? Always familiarize yourself with how the online market you are acquiring items from operates. Does it ship to your address? Is this an auction or is it a normal sale? If this is an auction is it a normal auction or is it a Dutch auction and is there a reserve price? For example, with auctions once you bid you may not be allowed to change your mind. 5. Ask questions before you close the deal. Do not hesitate to ask questions after having read the information accompanying the item. Ask the seller to email you a photo of the object if you are not clear about certain statements such as inconspicuous this or soiled that. You should request information in writing rather than on the phone because verbal statements are easier to dispute later on. 6. Use the rating systems. If the web site allows other purchasers to rate the seller and pass comments about their own shopping experience, read these reviews. Some sites also keep track of the number of transactions the seller has made. This helps you get an idea whether the seller is an individual trying to sell an unwanted gift or a shop employing half a dozen employees. Pay particular attention to the experience of others who have acquired an item similar to the one you are considering. 7. Don’t feel pressured to close the deal. If you don’t feel comfortable about how things are progressing or are no longer convinced about the item, simply stop. Occasionally a seller may try to pressure you to buy, especially if you had asked a large number of questions and requested additional information such as photos or clarifications. Never forget that you are the one forking out the money and you must be happy with what you buy. 8. Getting the item delivered. Sometimes the cost of shipping exceeds the cost of the item itself – factor this into the final cost of the item. Is the item being sent by normal or by recorded mail? Is it being delivered by courier? How long does each method of shipment cost and how long does it take? Does it justify paying more to get the item a week before? Can you track the item while it is in transit? You may occasionally discover that the seller does not live that far away after all. Although you incur travelling expenses, collecting the object in person saves you on postage and insurance and gives you the opportunity to inspect the item before departing with the money. How long does the seller take to send the item? The answer may depend on the method of payment since most sellers only ship after the money has made its way into their coffers. Factors such as the seller’s own operational procedures may add further delays. For example a seller may say that the ordered item is dispatched within 3 working days. This means that if you paid for something on Wednesday evening and the following Monday is a holiday; your parcel will not be dispatched until Tuesday. With out of stock and pre-ordered goods, a seller may only be able to give an indicative date when your order will be serviced. Make it a point to plan purchases around vacations so as to ensure that the item does not get returned to the seller because no one claimed it. It is important to factor in that around holiday seasons delivery times may increase by up to fifty percent. 10. Can items be combined or increased in quantity to reduce postage? Buying more of the item or combining goods from the same seller can bring down the gross cost of the items. Can you get family or friends interested in purchasing something from the same merchant? Can you combine all your gifts from one source? 11. What should the seller do if not all the items making up the order are available? Wait until all items are available or send smaller packages? If you were not informed of the delay before the purchase, you have the right to accept the change or cancel the order for a full refund. Never accept to pay for the addition postage costs if the delay is no fault of yours. As with shipping, taxes push up the final cost of an item. Unlike shipping, taxes may be at source, at destination or at both ends. Taxes at source are charged by the seller and are bundled into the price of the item. Taxes paid at destination materialize when you go to collect the item. The seller would not be aware of the tax and it is your responsibility to factor in this information beforehand. An electronic shopping mall based in your country may allow foreigners to trade from it. Always check from where the goods originate. Don’t forget to ask whether the seller will issue an official Tax receipt if you need one. Some don’t and some won’t unless specifically asked. 13. How to pay for the goods. After having fully understood what you are buying and the final cost, you have to decide with the seller how to pay for them. There are four methods of payment: Personal Check, Banker’s Draft, Internet Payment Processing Services (IPPS) or Credit Card. a. Go to the bank, order it and pay bank charges. b. Mail it via recorded delivery to the supplier. c. Supplier goes to his bank to deposit the check. He pays any bank charges. d. Supplier waits until the funds have cleared. Getting a refund if the transaction goes wrong depends entirely upon the seller. The risk of the check getting lost or stolen or misplaced either in the post or by the seller are possible realities. IPPSs such as Pay Pal are companies that act as a go between you and the seller. You give your credit card details to the IPPS when you register an account with them. Every time you purchase something from a vendor that accepts this type of payment, the IPPS first charges your credit card and then pays the vendor less a transaction charge. The vendor never gets to know your credit card or bank details. This means that if a hacker breaks into the vendor’s system, the hacker cannot work his way to your card. Today many online sellers accept IPPSs. Some IPPSs also offer Buyer Protection Programs that insure against fraudulent behaviour by the seller. 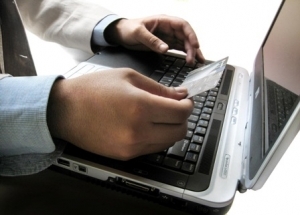 Credit and debit cards are also a very common method to pay for online purchases. With such cards you may have a certain amount of protection against fraudulent activities. Unlike IPPS transactions, with credit cards the vendor will end up with your credit card details. You should always be cautious when supplying your credit card details since not all merchants have the same level of controls and security and even the most reputable get hacked. If your credit card details are stolen, a hacker can charge purchases to your card. It is therefore in your interest to meticulously check your statement every month. If you think your account has been compromised contact your bank immediately. IPPSs afford the best security. If the vendors you must deal with do not accept IPPS transactions, you should consider a debit card linked to an account you only use for online purchases. In order to pay for something using this card, you first transfer funds into the account. This means that if a hacker gets hold of the card details, there is nothing he can take as the account is normally bone dry. Whenever you are entering your credit card or IPPS details in a web site make sure that the page is secure. Never send such details via email since email can be read in transit and never act on emails from institutions that tell you that your account has been compromised or needs to be updated. If in doubt call the bank or forward them the email. Write down the web site addresses of the financial institutions you deal with and if you need to go to their site type in their address rather than open it from a link within an email. 14. What happens if the item does not arrive? That is one of the hassles of online purchases. Keep track of all items you are expecting. Communicate with the seller if you think the item should have already arrived. If you have any form of insurance—specific item insurance or IPPS or credit card insurance—know the procedure on how to make a claim. Many insurance contracts specify a time frame within which you must claim. Don’t allow a seller to convince you to wait beyond the insurance time frame. You need to check beforehand what your rights are in the event that you have a change of heart after purchasing an item. Vendors in different countries might not be bound by the regulations of your country. This applies both to refunds as well as to the warranty period. With used goods you may not have the right to return the item nor any warranty. The best policy is to read the returns policy on the item or email the vendor for this information before the purchase. A vendor may deduct shipping costs from the refund. 16. How much does it cost to return the item? What happens if the item you ordered and the one you received are different or if you no longer want the item you purchased? What happens if the item breaks down during the warranty period? This is that one area in which an internet purchase may sour out and any money originally saved would have to be repaid with interest. Provided the item is returnable, many vendors will request that you return the item at your expense. Some vendors, once contacted, will issue an RMA (Returned Materials Authorization) number. This must be written on the packaging. Certain vendors also dictate that returned items be sent using a particular system such as recorded delivery or via courier. A vendor may specify that the object be returned back with all its original packaging. Some vendors may even charge a handling fee. This is normally called a restocking fee. You should factor the possibility of returning to goods especially if the object is heavy, delicate or is highly prone to failure. You should never make price the only motive when deciding amongst different sellers. Saving a few dollars by buying from a seller with a bad reputation is simply nonsensical. Spending a few thousand Dollars on a watch and not opting to have it sent via insured courier is another no do. 18. Stay in the loop. Never try to fraud the system. In certain online marketplaces, a seller may suggest that you deal direct rather than use the site itself. The reasoning given is that the site charges the seller a fee and he would be willing to split these charges with you. Others may suggest alternative payment methods or alternative web sites from where to effect payment. Once you leave the protection of the site and deal directly with the seller you forfeit all your rights and the majority of people who try this method end up being cheated. 19. Dealing with fakes and other problems. How can a brand new suit with tags that retails for 2,000 sell for 85? The likelihood of it being genuine and not stolen is very low. You should avoid becoming netted in a problem you will ultimately have to sort out at your own expense. If you doubt the origin and authenticity of an object ask direct questions; many dubious sellers will refuse to deal with anyone who they fear can cause them trouble. If you discover that something you acquired is a fake, inform the seller and the marketplace owners. It is very important that you keep a printed copy of all the screens and emails. Since the internet is dynamic, web pages can change, listed products may be removed and their description altered. Besides many sites keep showing transactions for a limited amount of time and if, for example, 1 year and 7 months after purchasing a product you need to communicate with the supplier, certain documentation may no longer be retrievable. Buying from the internet can be lots of fun as long as you stick to the points listed above. For some surfers, the hunt for that bargain or that collectable translates into a couple of enjoyable hours every evening looking through lists of goodies. And when you hit the bargain of the week don’t forget to tell all your friends (plus 10% exaggeration).